Free of shipping costs in Germany! This book is about a special car in motor sport history. It was designed by Peter Brock, famous for his work on the Shelby Daytona Cobra Coupé and the Chevrolet Corvette Sting Ray. 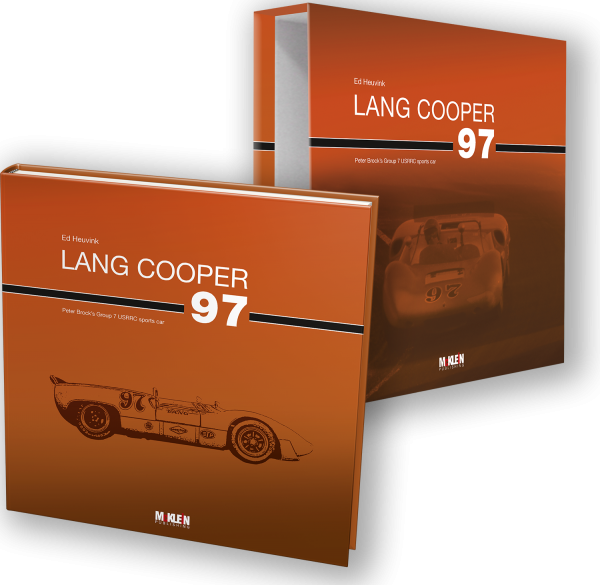 The Lang Cooper was entered in the American USRRC - United States Road Racing Championship - by no less a person than Carroll Shelby. Underneath the modern, slick bodywork is a British-built Cooper Monaco fitted with a powerful Ford V8 engine. The car, which took its name from the sponsor Craig Lang, heir to the Olympia brewery fortune, was driven by Ed Leslie in 1964. It was later sold to Charlie Hayes in 1965 before being used in club racing and finally ending up on a scrap yard in South Carolina. After several restorations, the car is now in the N-Anadol Collection in Switzerland and, since it is in both pristine and race-worthy condition, is being entered in several historic events by its current owner. This book not only tells the history of the car in the USRRC right up until today, it also features the Cooper Car Company and tells the story of the creation of the King Cobra. 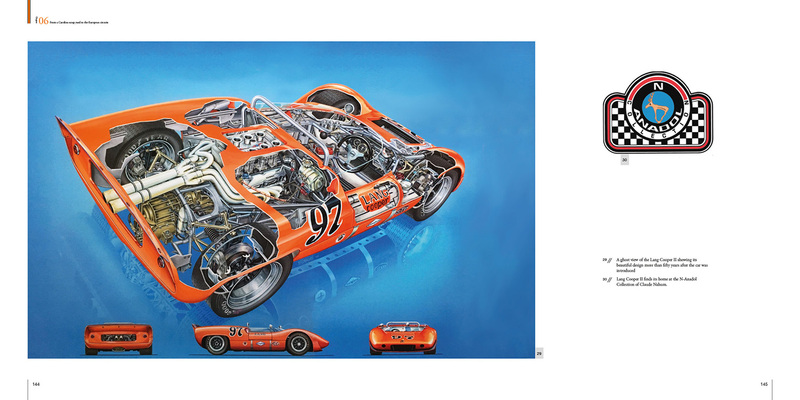 Related links to "Lang Cooper - Peter Brock's Group 7 USRRC sports car"
Customer evaluation for "Lang Cooper - Peter Brock's Group 7 USRRC sports car"